30347 - Large white cards with flourish design. 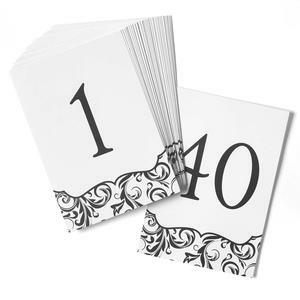 Flourish design and numbers 1-40 printed on both sides in black ink. 5" x 7 1/4".